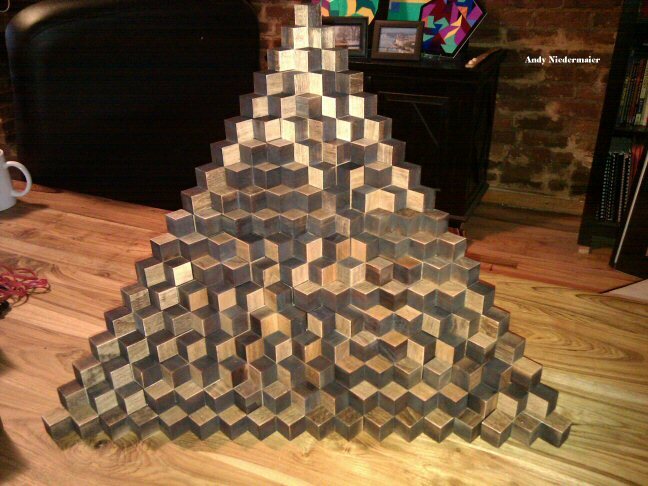 Andy Niedermaier sent us this photo of an incredible 18-step pyramid he built of the Quintillions, Super Quintillions, and Hexacube pieces. The back walls are smooth like the floor. This solving masterpiece consists of 195 pieces containing 1140 cubes. Whew! Congratulations, Andy! How many cups of Java did this one take?